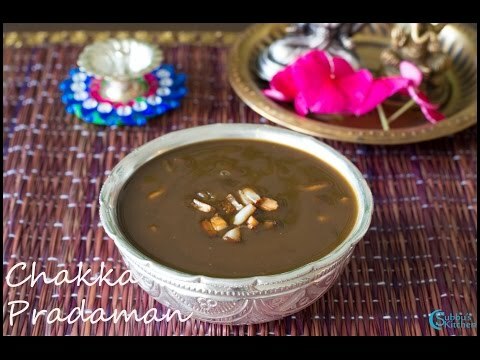 Chakka Pradaman is a traditional payasam of Kerala. 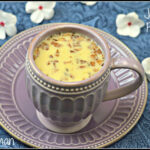 It is a mouth-watering dessert that makes the taste buds tingling. Usually this is prepared for Onam Sadhaya. 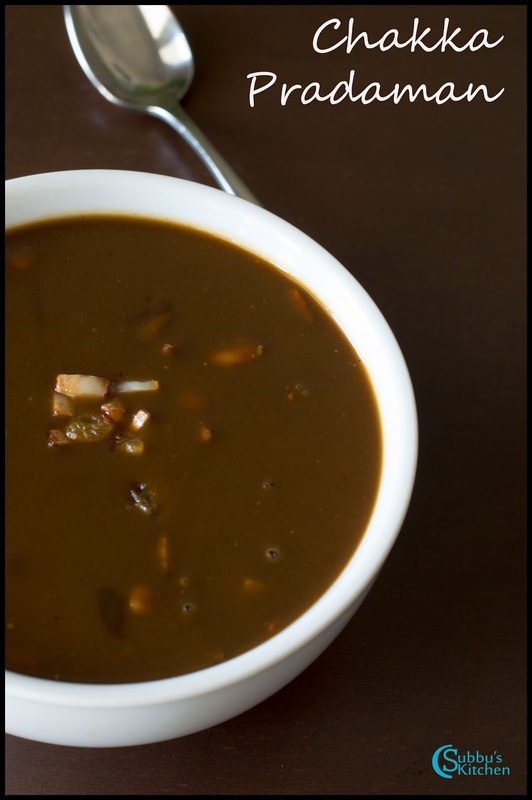 The main ingredients of chakka prathaman are chakka varattiyathu and jaggery.Chakka varattiyathu is made by cooking finely chopped pieces of Chakka Chula (the edible yellow part of jackfruit) with ghee and jaggery (or sugar) at a high temperature until it becomes thick like halwa. 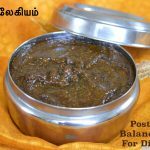 Once this paste is ready, it can be kept for a long time without losing its taste. 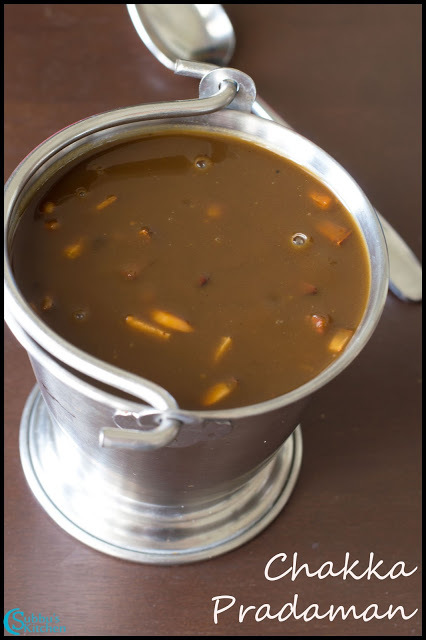 To make the prathaman, the ‘chakka varattiyathu’ is cooked with Cooconut milk and additional jaggery.The dish is usually served hot. 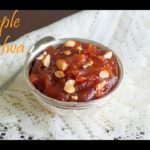 It is made more often in Kerala than in other south Indian states. 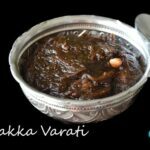 For chakka varatti recipe, you can click on the link given here. Heat a heavy bottomed pan, add the 3rd coconut milk which is very thin in consistency and bring it to boil. To the pan, now, strain the jaggery juice and give a good stir. Then add the chakka varatti and keep stirring till all the chakka varatti are nicely dissolved in the coconut milk mixture. 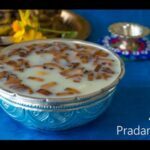 After 10 minutes, add the thick coconut milk and keep the flame very low and give a good stir so that the thick milk is nicely incorporated with the jaggery and chakka varatti mixture. 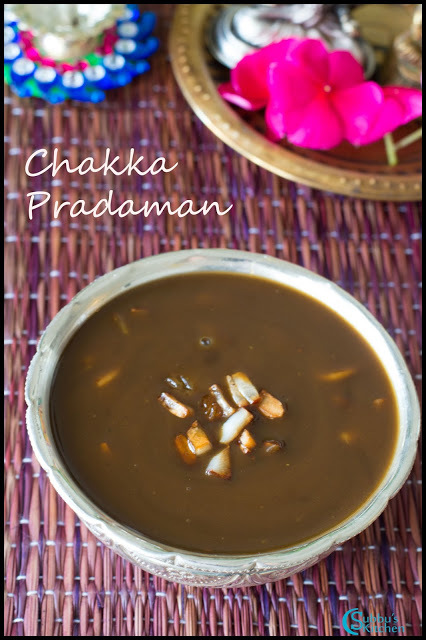 The delicious Chakka Pradaman is now ready to serve!